Action is needed to reduce China’s massive overuse of intravenous infusions for inappropriate indications, according to an article in the BMJ this week. 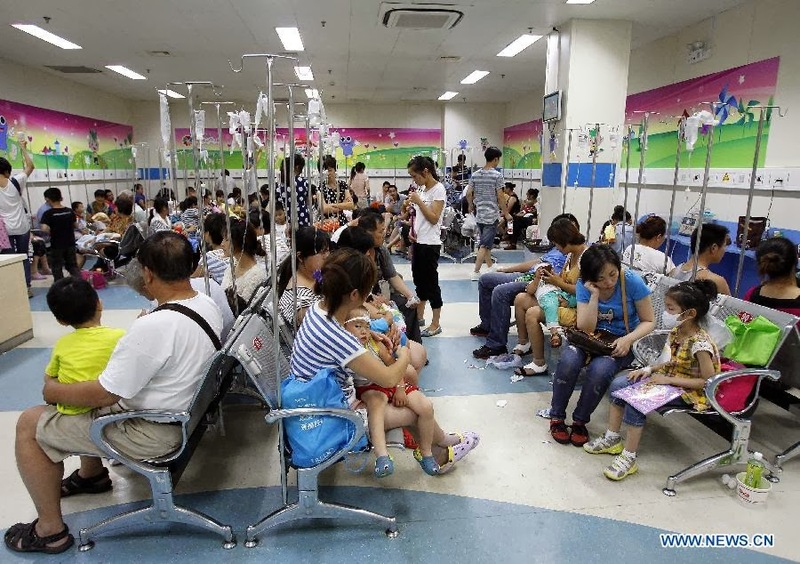 The timid steps taken so far by the Chinese government have done little to dent the widespread misuse of IV infusions, with as many as ten billion courses – or eight per person per year – being given, says Yuan Sanying of the West China Hospital, Sichuan University, Chengdu. She says the government has recognised the problem and has acted to reduce financial incentives for prescribing infusions. However, there is still enormous pressure on doctors to set up IV infusions and the practice continues in most hospitals. Many hospitals even have dedicated infusion rooms, she notes. Ms Yuan, who works as a nurse in the Department of Liver Surgery, says hospitals look like ‘infusion forests’ during cold weather spells as patients are treated with infusions for common respiratory ailments. And yet doctors acknowledge that most patients don’t need IV medication and could be better treated with oral remedies and rest. The use of infusions is a major burden on hospital staff, with nurses reporting being overworked and diverted from other tasks as they spend half their working day setting up IV infusions. The Ministry of health has responded by monitoring the number of infusions and by banning some hospitals and doctors from earning commissions from the use of infusions. However, inappropriate is still driven by pressure from patients who believe that they will recover faster if they have an infusion. Doctors and nurses who refuse to provide infusions face getting into disputes with patients and their families, she says. Yuan Sanying says financial restrictions should be extended to all hospitals. She also recommends a public education campaign, similar to the ones that have discouraged the public from using antibiotics for viral illnesses.